The Florida Association of Legal Document Preparers is a registered vendor with the Florida Department of Vocational Rehabilitation Services and My Florida Marketplace. We are vendors for the Supported Self Employment Program through those entities. Please visit Rehabworks.org to learn more. If you, or someone you know is eligible for services through the Department of Vocational Rehab, you may also be eligible for Supported Self Employment. 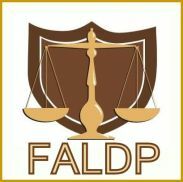 Our FALDP All Course Bundle has been approved for Supported Self Employment by the Florida Department of Vocational Rehab; and My Florida Marketplace. We encourage interested people who may qualify for these services to seek the assistance of your Vocational Rehab Worker. Be clear and specific in your goal to open your own business. If you are eligible for benefits through the Voc Rehab, and you have an interest, talent, or experience preparing documents talk to your counselor about their supported self-employment program. If you and your counselor find that a document preparation business is right for you, Voc Rehab may pay for our All Course Bundle for you. In addition, depending on your needs, Voc Rehab may also purchase office equipment, software, and other business necessities to help you get going in your new venture. Who uses document preparers? The short answer is - lots of people. The word is out that document preparation services can be a low cost alternative to having an attorney prepare legal documents. Document preparers charge lower fees than attorneys, because they don't provide legal advice or representation - just documents. It is not only low income consumers who use document preparers, rather it is people who know what they need to do, but either do not have the time or expertise to prepare their documents themselves. What types of documents do document preparers offer? Document preparers assist consumers by preparing any type of document that a self-represented consumer may prepare for himself. The document preparer works under the instruction of the consumer and in many instances must intake all information in writing. Typically, document preparers prepare documents for family law, immigration, bankruptcy, small claims, last will and testament, powers of attorney, etc. Document preparers do not prepare documents for most criminal matters, guardianship, or formal administration. Time available to devote to business. We want our members to succeed, and do all that we can to provide the tools and path for success. We encourage all who intend to engage in the document preparation business to do their research and make sure this business is right for you. The following stories are from the website for the Department of Vocational Rehab. Florida’s Vocational Rehabilitation program is committed to helping people with disabilities become part of America’s workforce. For more information about VR and its services, call (800) 451-4327 or visit Rehabworks.org. VR paid for the conversion portion of Palma’s van, but Palma payed for the vehicle. Getting the modified vehicle was something Palma desperately wanted. "My daughter went off to college, and I wasn’t able to see her off," Palma says. "For me, the vehicle was amazing because it meant I could do the things other moms were doing. Now I’ll be able to attend my daughter’s college graduation." For more information about VR and its services, call (800) 451-4327 or visit Rehabworks.org. data-custom-mark="true"Florida's Vocational Rehabilitation program is committed to helping people with disabilities become part of America's workforce. For more information about VR and its services, call (800) 451-4327 or visit Rehabworks.org.